In 2009 during my sophomore year of high school a friend and I exchanged mixed tapes for Christmas. It wasn't a huge deal because he gave all of his friends the same exact mix tape, but it still stands that the music was really good. On it were gems like The Girl's A Straight-Up Hustler by All Time Low, Face Down by The Red Jumpsuit Apparatus, Addiction and Her Name by There For Tomorrow and, of course, Everything I Ask For by The Maine. 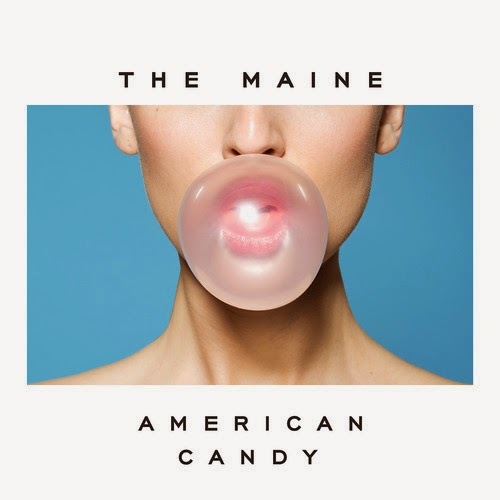 My love for The Maine slowly started with that one song; at first I listened to it on repeat from my CD player, then I bought it from iTunes so I could always carry it with me, and soon after I bought the entire album, Can't Stop Won't Stop. 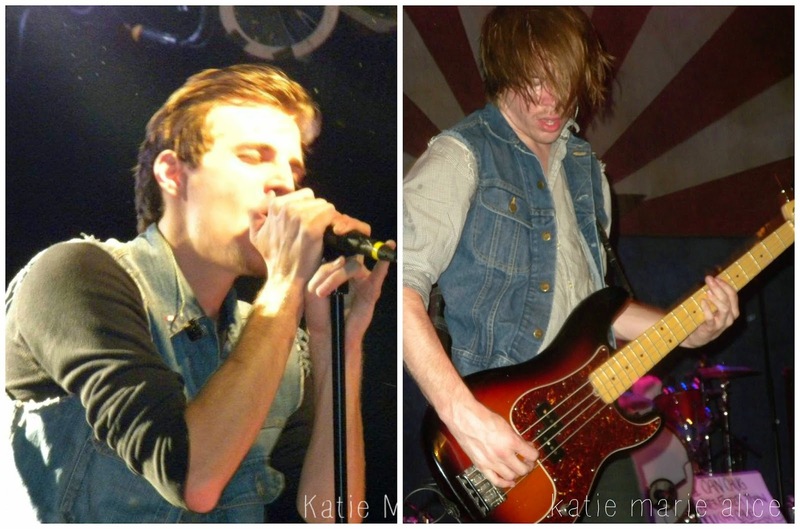 My love for The Maine began when I was fifteen. I'm twenty-two now and I couldn't love their music more. I love how their music has grown with me and that each album is something different, but the core of of it still the same with the catchy music and meaningful lyrics. The guys work so hard and are so generous to their fans. I've been to three of their concerts and there's not much that can make me as happy as being there. I saw them at The House of Blues in Chicago, The Rave in Milwaukee and at the Bottom Lounge in Chicago. At the Bottom Lounge it was just them. They played their new album at the time, Pioneer, from start to finish and then came back out for a second set to play some old favorites and cover songs. It was amazing, I just feel so alive when I listen to their music and being there with everyone singing along to the songs we all love is incredible. Not my video, but I was there! Song starts around 2:35, but the beginning part is fun! Their third album, Pioneer, will always hold a special place in my heart. It was the one I saw entirely performed live and they did it all on their own. They left the bigger record company because it wasn't letting them produce the music that they wanted to. The guys were in a situation that was bad for their growth, so they left. They worked their asses off and created their best album yet, Pioneer. They didn't let anyone stop them from making the music that they wanted to. "Oh, I'm learning to be free." some days can feel like razorblades. I wish I could float away, some days." "We go together like the winter and a sweater." if it's worth the fall." and I will give you every part of me." 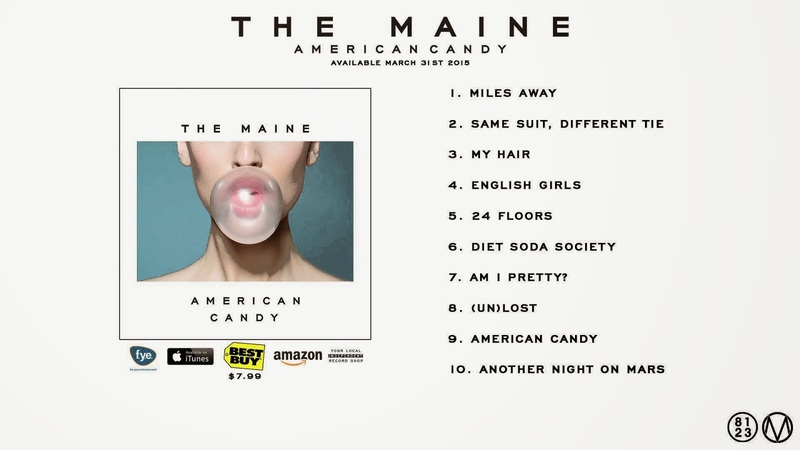 On March 31st of this year The Maine released their fifth album, American Candy. I love it. I love how each of their albums always finds a way to be relevant in my life no matter where I'm at. It's more upbeat then their most recent album, but I think we all could us a little lightness to our lives right now, at least I know I could. The lyrics are still amazing, the music is incredible and I can't stop listening! It's been on repeat since last Tuesday. All of the tracks are up on their YouTube channel, you should check it out here! haha no worries! A lot of people haven't heard of them. They're a small indy band out of Arizona.